The cornerstone (or foundation stone or setting stone) is the first stone set in the construction of a masonry foundation, important since all other stones will be set in reference to this stone, thus determining the position of the entire structure. Without this cornerstone there can be no solid foundation upon which to build. The elections are now over in Israel and it looks like Prime Minister Netanyahu will once again take the top job. It is a crucial time for Israel as we see their implacable enemies gathering on all sides. There is no doubt that Prime Minister Netanyahu will continue to seek ways and means of protecting Israelis and defending Israel and taking whatever means are necessary as he has done in the past. He is a corageous leader and has no problem dealing with rogue nations such as Iran, hell-bent on Israel’s destruction. While God raises up leaders and deposes others He still expects those leaders He raises up to seek His wisdom to govern and to lead His people. While He sovereignly raises leaders up they have a responsibility to do the right thing before the LORD or He will remove them. (Daniel 2:21) When you consider the parable of the tenants that the Lord Jesus spoke about it is as relevant today as it was in the time of our Lord Jesus when He lived and ministered among His Jewish brothers and sisters in Israel. Let’s briefly look at this parable found in Matthew 21:33-45. While it applies to Israel it also applies to the Church. The Vineyard is the nation of Israel and by extension and inclusion the Church. They are like two sides of the same coin, separate, yet one. (Romans 11:15-29) (Ephesians 2:11-22). It is also clear that the Vineyard belongs to the LORD as He is the owner. God owns the Land of Israel and He has rented it to the Jewish people through Isaac and Jacob (not through Ishmael or Esau) so that they might plough up the soil of their hearts to receive the seed of his Word and so produce spiritual fruit for Him to collect in due season. Down through the centuries God has been looking for spiritual fruit from His people whether they are Israelites or by extension and inclusion Christians. Once the Israelites were in the Land of Israel God expected them to become spiritually fruitful so that the pagan nations would also be able to come to a knowledge of the God of Israel. When it was time to collect the harvest He sent His prophets to check whether his people were following Him with their whole hearts or entertaining idolatry and the ways and practices of the nations. These servants of God were sent by Him to sow the seed of His Word, to uproot sin and idolatry and to plant good seed in their heart soil that they might produce more spiritual fruit for His purposes on earth. Likewise down through the history of the Church God has sent His servants, men such as Charles Spurgeon, John Wesley, George Whitfield, D.L. Moody, William Booth and many others to sow the seed of God’s Word into the heart soil of His people. What happened in Israel mirrors what has happened in the Church since the time of the apostles themselves. Today within wider Christendom it is the same thing. We see an infestation of so called prophets (profits) and most of them are very popular today and do not in any way, shape or form experience beatings, stoning or martyrdom at the hands of their brethren and many of them are favoured even by the unsaved and unenlightened. When you look at the ministries of Charles Spurgeon, John Wesley, George Whitfield and William Booth or D.L. Moody they had plenty of opposition not only from the unsaved but from within the rank and file of Christendom and in many cases from the clergy. God the owner of the Vineyard, in His love and patience with Israel, after sending them even more of His prophets, whom they treated in the same way as the others before them, He decided to send them His one and only begotten Son in the hope they might receive Him and be saved. However, in their greed they decided to kill Him and claim the Land as their own and disregarding the God who had rented it out to them and entrusted them to produce spiritual fruitfulness for Him and for the nations. In 33AD the Jewish nation crucified their Messiah. He was the ultimate prophet, priest and king and they rejected Him. He was the cornerstone that could hold Israel together nationally but more so spiritually but they rejected Him the only fountain of living water and hewed out for themselves cisterns that could not hold the water of eternal life but instead be filled with the filthy liquid of sin and rebellion. The building would collapse in 70AD. Of course people’s physical needs must be met otherwise our faith is hypocritical and pharisaic yet if we only give people physical sustenance but withhold the spiritual nourishment for their eternal souls then we are as guilty as those who stoned and killed the prophets and rejected God’s Word and we will not escape sentencing. 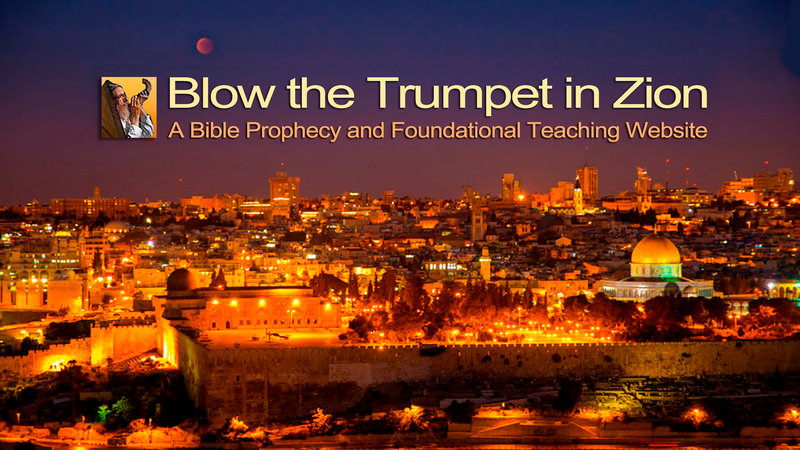 Centuries before the Lord Jesus came the Hebrew prophets foretold of a time when Israel would not only be restored nationally but also spiritually at the end of this present age. According to the prophet Ezekiel they would be brought back into the land of Israel in unbelief (Ezekiel 37:1-8) After this they will be spiritually restored as a nation and receive the Messiah as the stone of salvation they have rejected. (Ezekiel 37:9-14) Since 70AD God has been reaping spiritual fruit from the Gentile nations for well over 2,000 years but the time is coming, and I am persuaded it is now upon us, when the times of the Gentiles are coming to a close and God is once again looking for spiritual fruit on His Vineyard being the nation of Israel. Once again God’s threshing floor will be filled with wheat but only after the chaff has been taken out. (Joel 2:24) The chaff is sin and rebellion and because of the rejection of the Torah and the Messiah in Israel the nation is yet to face God’s refining crucible in order to have the chaff shaken and blown away and in the refining process have God extract the gold from the dross. Not only is God going to refine Israel but also be extension and inclusion Christendom. In 70AD and in 132-136 AD He used the Romans and today He is using Islam. Once He has finished using islam He will destroy it from the face of the earth. Next PostNext Who Really Owns the West Bank?